Product prices and availability are accurate as of 2019-04-20 00:00:54 BST and are subject to change. Any price and availability information displayed on http://www.amazon.com/ at the time of purchase will apply to the purchase of this product. 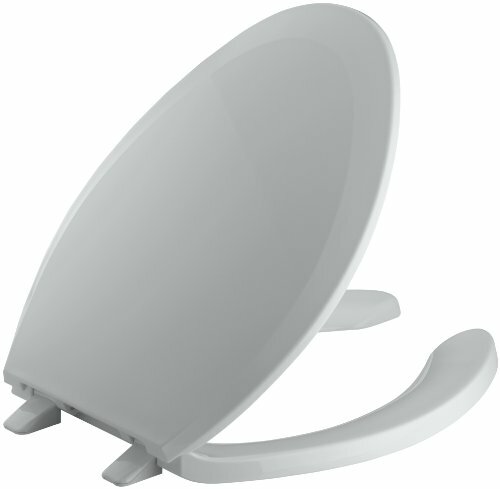 K-4650-95 Finish: Ice grey Features: -Elongated, open-front toilet seat with cover. Options: -Available in the following finishes: white, mexican sand, almond, black black, ice grey, biscuit. Color/Finish: -Polypropylene finish that will not chip, peel or stain. Dimensions: -Overall dimensions: 14.19'' W x 16.69'' D.